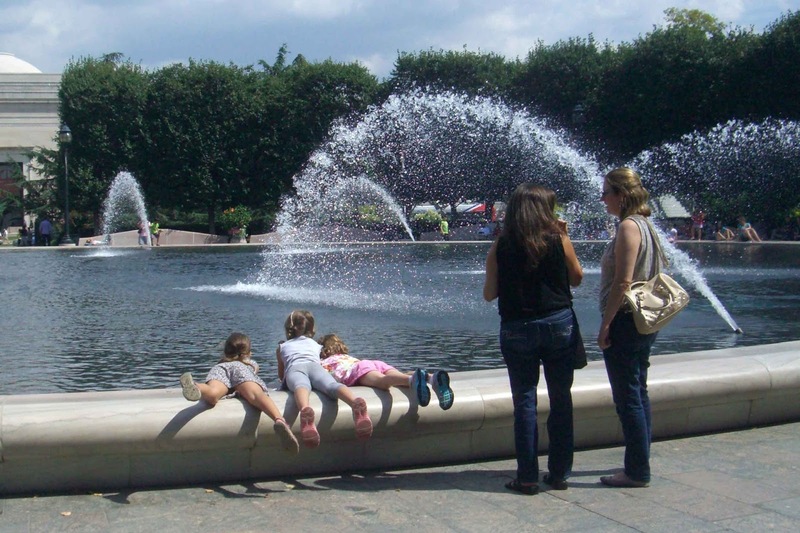 Puddles, streams, swimming pools, fountains, sprinklers---kids love water. They see the sensory and creative possibilities of it. They rarely pass up an opportunity to feel a spray of water drops on their skin or dip fingers and toes in a pool. I watched these little girls flop onto the rim of the fountain in the National Gallery's Sculpture Garden. They ran their fingers through the water and watched it ripple. They splashed and giggled. At what age do we lose this ability to enjoy and experience water? It's not too late. Dip your toes in the nearest fountain. Create a rainbow with the garden hose. Aim that hose at your brother---and then run.